In the examples found below, house fonts have been used for all noteheads, articulations, accidentals, flags, percussion symbols, arrows and various objects (scissors, hands, bottles). These fonts have been custom designed to ensure total graphic coherence — in line thickness and general style — in the scores and with each other. 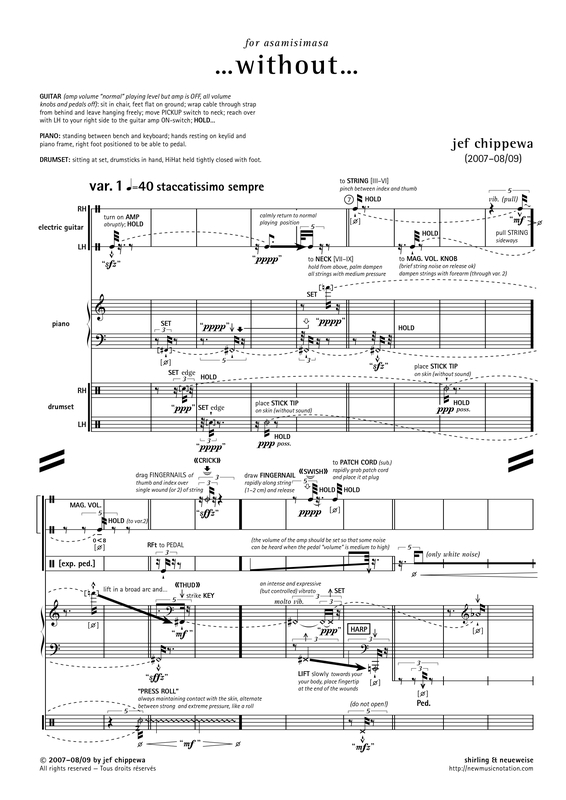 In 2009, three excerpts of jef chippewa’s work were published in Theresa Sauer (ed. 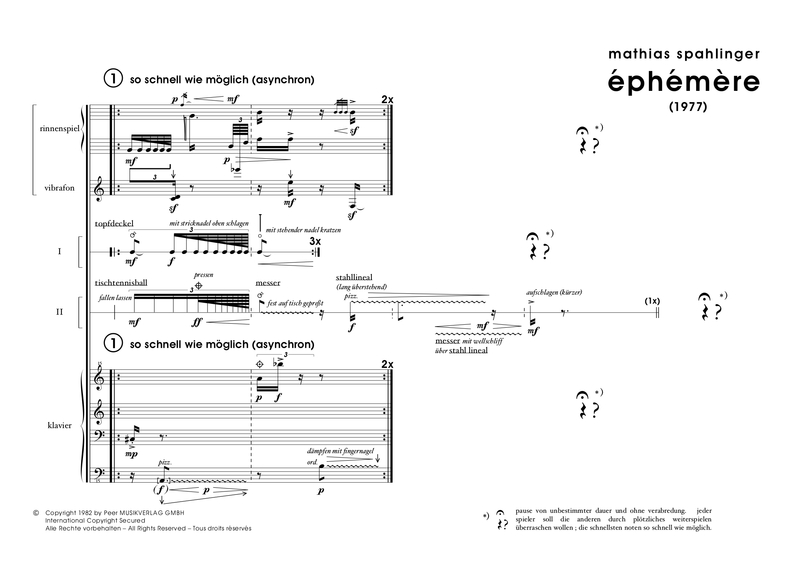 ), Notations 21 (New York: Mark Batty Publisher): the first page of his own 2007–08 work, …without…, as well as two pages from mathias spahlinger’s éphémère (PEERMusic) and the first of Brice Pauset’s Trois canons, works were scored by him. Click on the following images to enlarge. 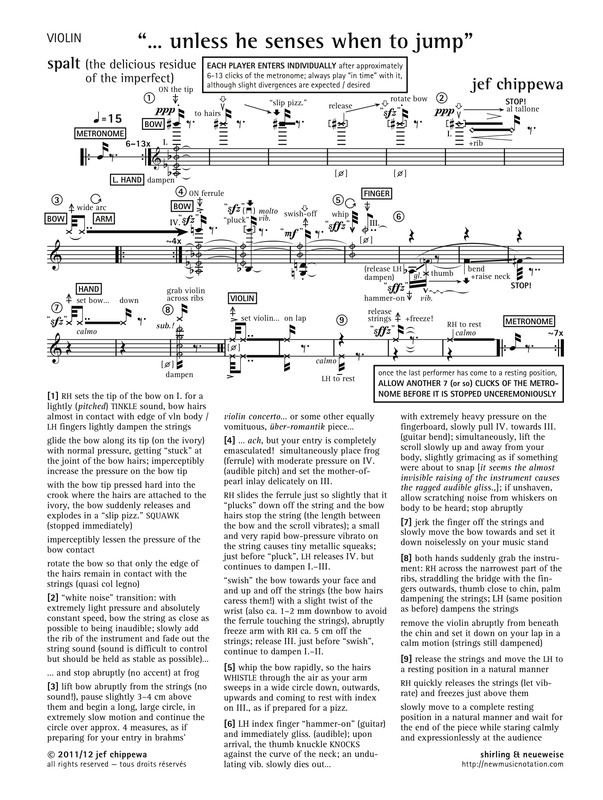 percussion, graphic and spatial notation; scored in 2002. to see more pages from this score, download this PDF. notation of actions to be performed that do not always result in a sound; scored in 2013.
notation stylized after composers handwriting; originally scored in 2002, updated in 2014.
many “non-sounding” actions from the first section and a high level of text explanations; scored in 2009. The following examples can be downloaded by clicking on the title. 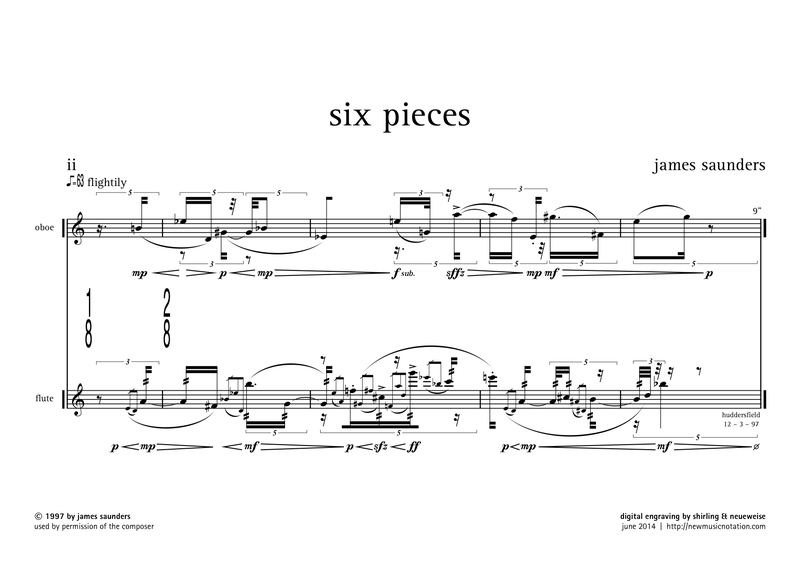 entire part shows a variety of notational issues such as spacing in a dense score, multiple voices in a solo part and more; scored in 2007.
vocal and guitar notation; an impressive example of dense “beethoven” notation that does not look at all cluttered; scored in 2002.
spatial notation and some simple graphic elements; scored in 2002.